When you have auto problems, your stress level reaches new heights. It does not matter if you locked your keys in your car, ran out of gas, got a flat tire or if your car just quits. 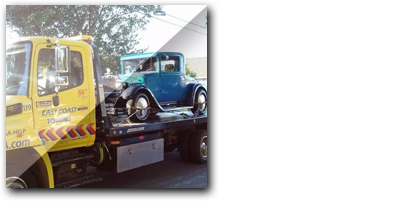 A reliable and honest towing service is what you need. Our customers can be assured that they will be served with efficient, reliable and friendly service every hour of every day. We constantly strive to have our drivers trained in the latest techniques available for safe towing of your vehicle. 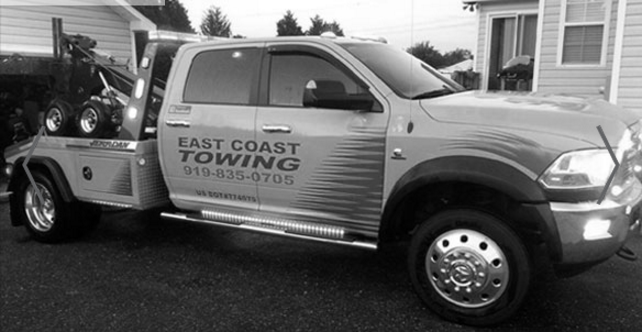 Our equipment is up to date and can provide towing that will not damage your vehicle. This means if you have a car, truck or motorcycle our drivers are trained and our equipment is up to the grade to tow safely and without damage to your vehicle. 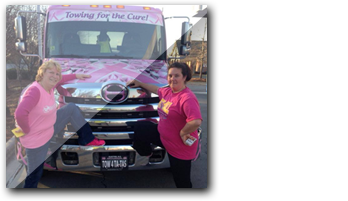 Not only are our rates competitive, but our drivers will be offering professional, courteous service on the road. We service the following areas Raleigh, Wake Forest, Cary, Apex, Morrisville and Garner, NC. We are here to serve you. I usually do not pick up my phone unless I know who it is- so not sure I would be able to do survey by phone. I just wanted to let you know Jay did a wonderful job…total satisfaction so far. 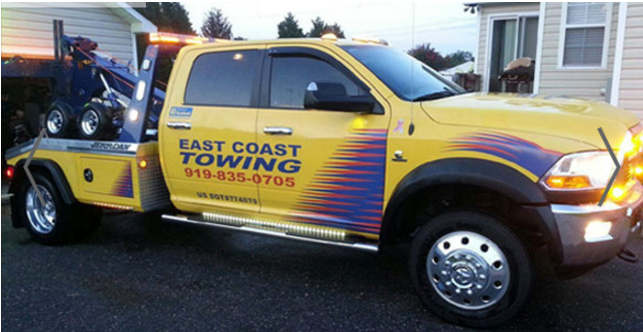 Also very happy with AAA for having East Coast Towing come help me out. I priced getting a battery earlier in the day and your prices are also very reasonable for the exceptional quality provided for my new battery and installation.